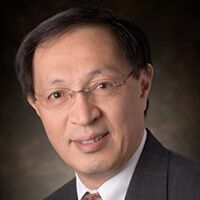 Dr. Lou Hao received his Ph.D. in Management Information Systems from Bauer College of Business (formerly College of Business Administration) at the University of Houston in 1993. He has served as a faculty member in the Department of Management Information Systems at Ohio University since 1993. Before joining Ohio University, he taught both undergraduate and graduate MIS courses in the Department of Decision Sciences in the Bauer College of Business at the University of Houston. Prior to his academic career, he has worked for manufacturing industry and software industry. Dr. Lou’s research interests include global sourcing, especially engagement between Japanese customers and China suppliers. He also researched on computer-mediated communication systems (CMCS), groupware implementation, e-learning and e-commerce in developing countries. His publications have appeared in the Journal of Association for Information Systems, European Journal of Information Systems, Journal of Organizational Computing and Electronic Commerce, Journal of Information Systems Resource Management, Journal of End-User Computing, and Journal of Global Information Management. In addition to teaching undergraduate and graduate programs, Dr. Lou has taught Ohio University’s MBA/EMBA/PMBA programs in US, Malaysia, India, China and Brazil. He has served as the 36th Kohei Miura Visiting Professor (Research) at Chubu University (2010 April to June).